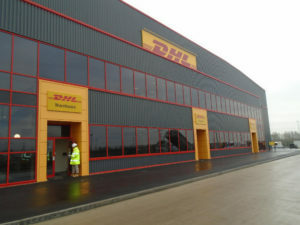 DHL Supply Chain has opened a multi-user warehouse on an 11 acre site at Avonmouth. The facility has120,000 sq ft of ambient chambers and 35,000 sq ft of temperature-controlled sheds, including frozen, chilled and fixed temperature chambers. Flexible dock doors and ground level access points allow for a complete range of vehicles to be controlled from the site, while electric vehicles and charging points will future-proof operations. The idea is that the site will support customers’ South West operations, allowing them to deliver into regional towns and cities with fewer vehicles and journeys. “We know that our customers are looking for new solutions to drive efficiencies and reduce their supply chain costs,” said Ian Clough, managing director, network logistics and transport, UK and Ireland.